In order to give armoured infantry immediate fire support, the 150mm sIG33 L/11 heavy infantry gun was mounted on the chassis of the Panzer I Ausf B. 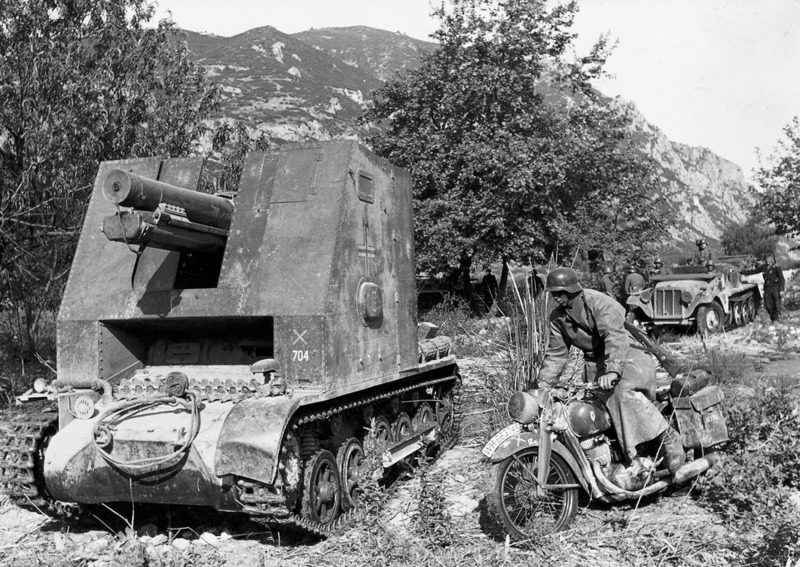 This resulted in a self-propelled infantry gun that could follow the infantry closely into battle. The conversion was carried out by Alkett at Berlin-Spandau. The turret and superstructure of the Panzer I were removed and replaced by a large, box-shaped gun shield which was open at the rear and had an open top. The gun was placed inside the gun shield. The sIG33 was the first of several similar improvisations the Germans made during the war, in which a gun on a standard field mounting was fitted onto a tank chassis with only slight modifications. In total 38 conversions were completed. The sIG33’s gun had a traverse of 12.5 degrees to left and right and an elevation of minus four to plus 75 degrees. It was an excellent weapon that remained in service up until the end of the war in Europe. The sIGs were used to equip 701-706 Heavy Infantry Gun Companies, which were distributed among six panzer divisions during the campaign in the Low Countries and France in May-June 1940. A number were still fighting with the 5th Panzer Division on the Eastern Front in 1943.